An Autism tattoo done by our artist Matt C. Ellis. An Autism tattoo done by our artist Matt C. Ellis. 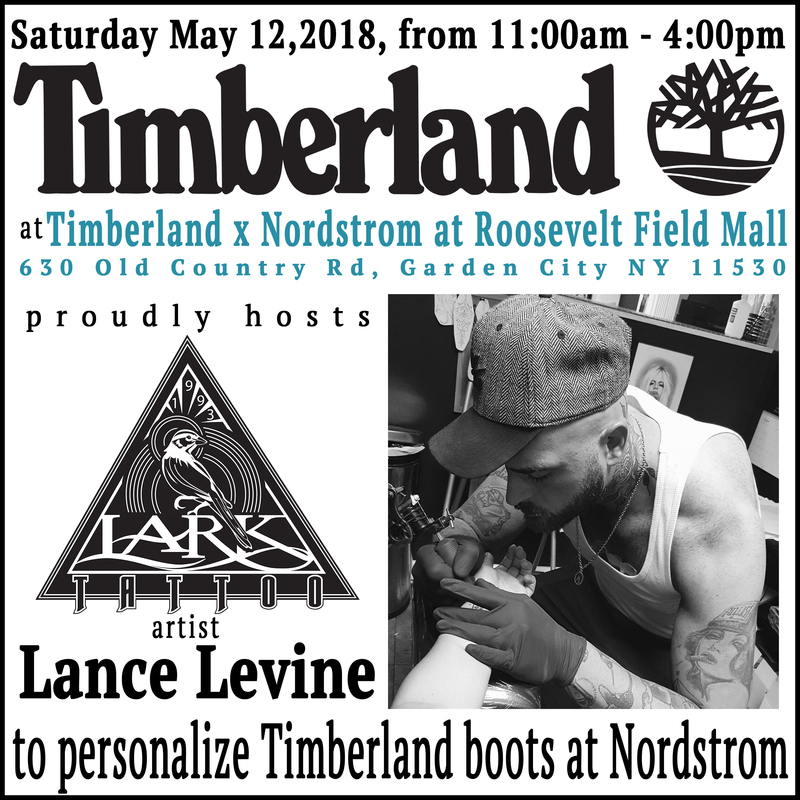 Our WESTBURY location is taking part in the INK 4 AUTISM event for the entire month of April. 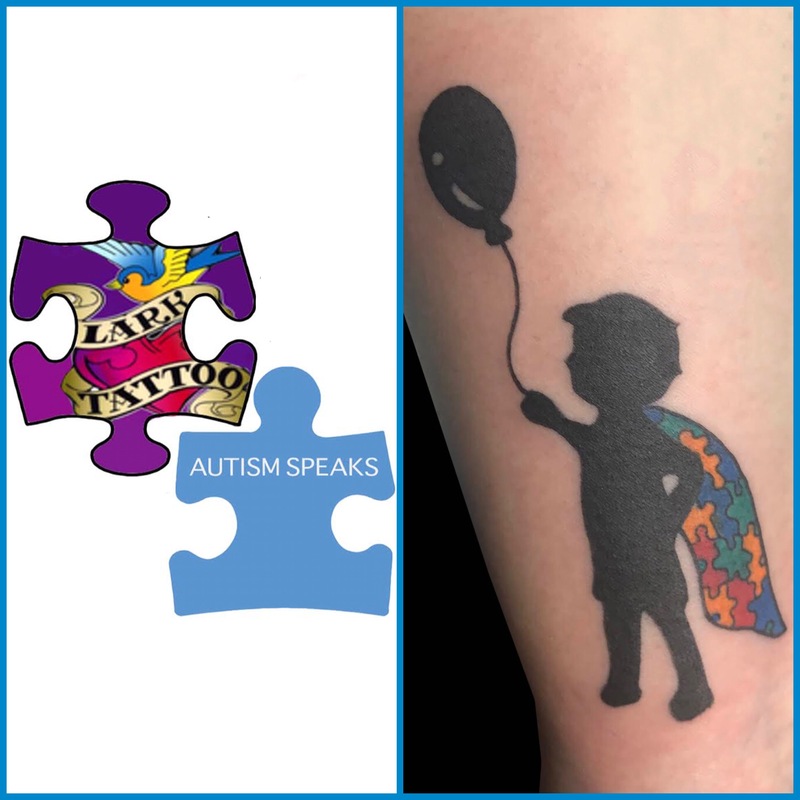 Any Autism inspired tattoo done at Lark Tattoo, Westbury, will have a portion of its proceeds donated to AUTISM SPEAKS. Call 516-794-5844 for details and booking. 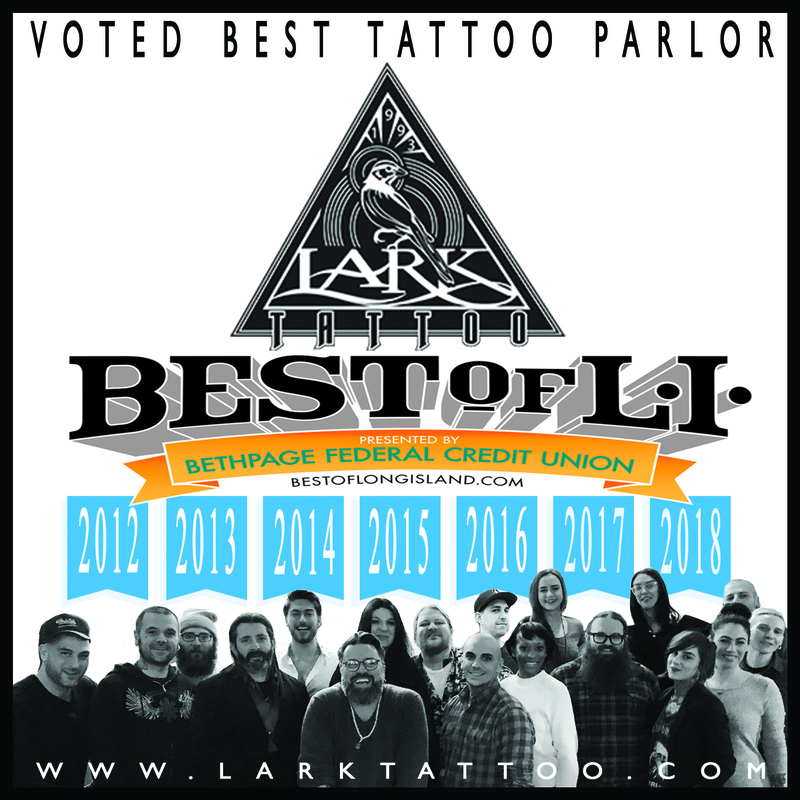 Lark Tattoo voted #1 Tattoo Parlor for 7th consecutive year! Lark Tattoo is always happy to help the animals, and our friends at Little Shelter! Black Friday, Shop Small Saturday, and Cyber Monday Deals at Lark Tattoo CLICK HERE to shop our ONLINE store! 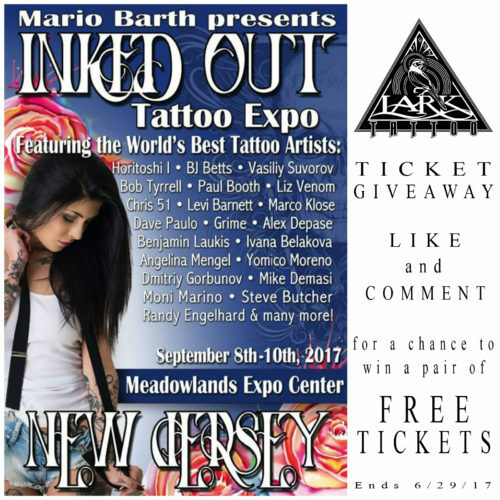 Stop by the Lark Tattoo booth, this weekend, at the New York State Tattoo Expo, and say hi! We are very pleased to announce that Lark Tattoo will be at the 2015 Saratoga Tattoo Expo April 10th, 11th, and 12th. Make sure t0 stop by the booth and say hi! CLICK HERE for more information about the event and to check out the Saratoga Tattoo Expo website.